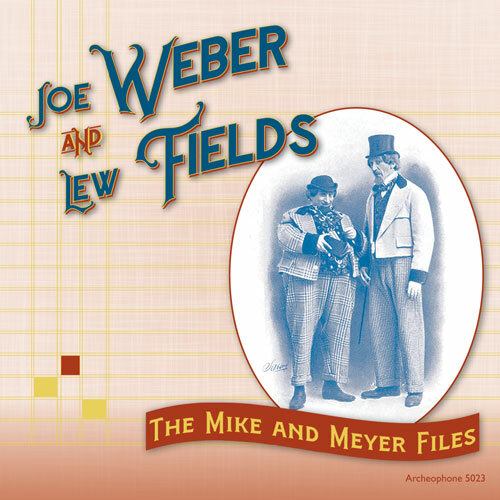 With their potent mixture of slapstick and fractured German dialect comedy, the pioneering vaudeville duo of Joe Weber and Lew Fields can rightly be called the granddaddy of all American comedy teams. They conquered Broadway with a series of hit burlesque comedies that pointed the way towards “Forbidden Broadway” and Mel Brooks’ “The Producers” and laid the foundation for later comedy teams the Marx Brothers, Abbott and Costello, and the Three Stooges. Now for the first time, all of the pair’s comedy recordings have been masterfully restored and compiled in one collection that tells the story of this hugely influential duo. Includes a 32-page booklet with new scholarship by celebrated authors Trav S.D., L. Marc Fields, and Richard Martin.